Aware Parenting is a philosophy of child rearing that has the potential to change the world. Based on current research in child development, Aware Parenting questions most traditional assumptions about raising children, and proposes a new approach that can significantly improve relationships within a family. 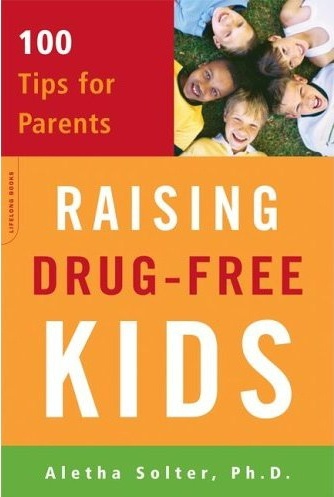 Parents who follow this approach raise children who are cooperative, compassionate, competent, nonviolent, and drug free. 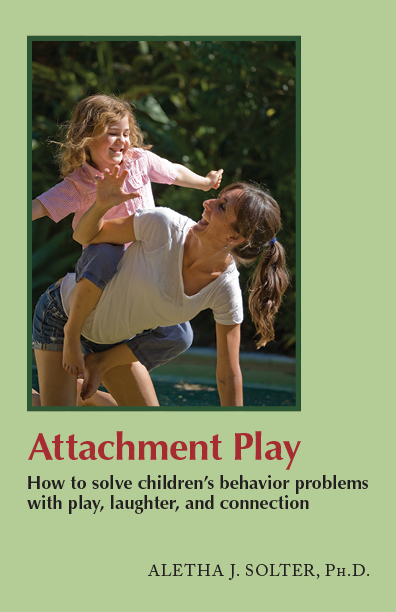 Please see our FAQ page for a brief explanation of Aware Parenting. Founded in 1990, the Aware Parenting Institute is an international organization with certified instructors in 20 countries who are helping to spread this philosophy around the world. These instructors work independently and are not employees or subcontractors of the Aware Parenting Institute. Are you a parent in need of advice or support? Please visit our Parent Support Page. Are you from the media or the book trade? Please visit our Press Room. For an overview of this website, please see our Site Map. Aware Parenting is based on the work of Aletha Solter, Ph.D., a Swiss American developmental psychologist, international speaker, consultant, and author of five books. 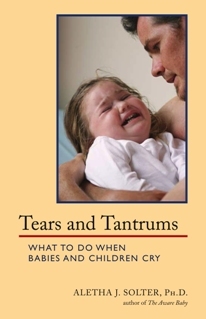 The titles of her books are The Aware Baby, Cooperative and Connected (a revised edition of Helping Young Children Flourish ), Tears and Tantrums, Raising Drug-Free Kids, and Attachment Play. Dr. Solter studied with Dr. Jean Piaget in Switzerland before earning her Ph.D. in psychology at the University of California. She is recognized internationally as an expert on attachment, trauma, non-punitive discipline, and developmentally appropriate education. 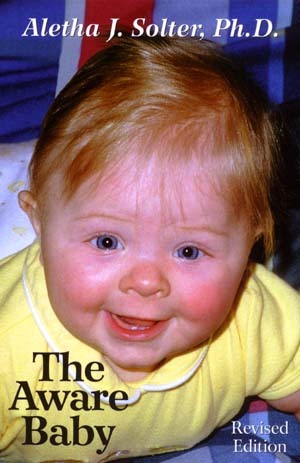 Her books have been translated into 13 languages, and The Aware Baby has sold over 150,000 copies worldwide. Dr. Solter has led workshops for parents and professionals in 17 countries. She also offers consultations for parents. The Aware Parenting Institute has no political or religious affiliation. Aletha Solter's next presentations will be in Istanbul, Turkey and Santa Barbara (California). Click here for more information. February 2019: A new French edition of The Aware Baby has just been published. See our page for France for more information. January 2019: There is a new Aware Parenting instructor in Belgium. Click here to see a complete list of all the instructors. 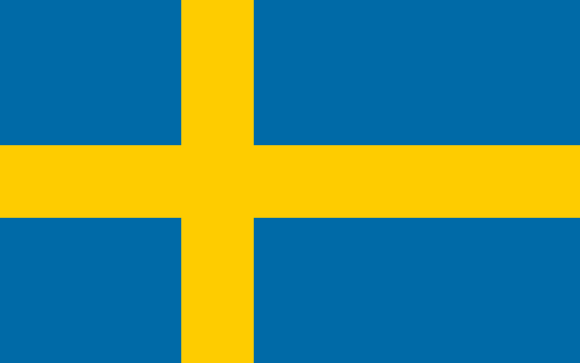 December 2018: There is a new Aware Parenting instructor in Sweden. Click here to see a complete list of all the instructors. November 2018: There are new Level 2 instrutors in The Netherlands, Romania, and the United Kingdom. Click here to see a complete list of all the instructors. The Level 2 instructors have a red star next to their name. October 2018: Aletha has returned to California after leading workshops in London. August 2018: There are new Aware Parenting instructors in Belgium and Canada. Click here to see a complete list of all the instructors. 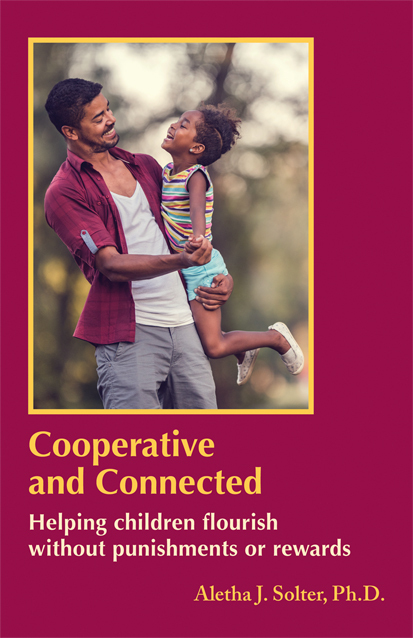 July 2018: We have received several lovely endorsements for Aletha's new book, Cooperative and Connected. Click here to read them. June 2018: Aletha has returned to California after leading workshops in Paris and Cluj-Napoca, Romania. May 2018: There is a new Level 2 instrutor in Belgium. Click here to see a complete list of all the instructors. The Level 2 instructors have a red star next to their name. April 2018: We have new Aware Parenting instructors in Spain and Chile. Click here to see a complete list of all the instructors. March 2018: A Lithuanian edition of Tears and Tantrums has just been published. See our page for Lithuania for more information. February 15, 2018: A revised and updated version of Helping Young Children Flourish was published today. The new title is Cooperative and Connected. This web page was last updated on February 21, 2019. 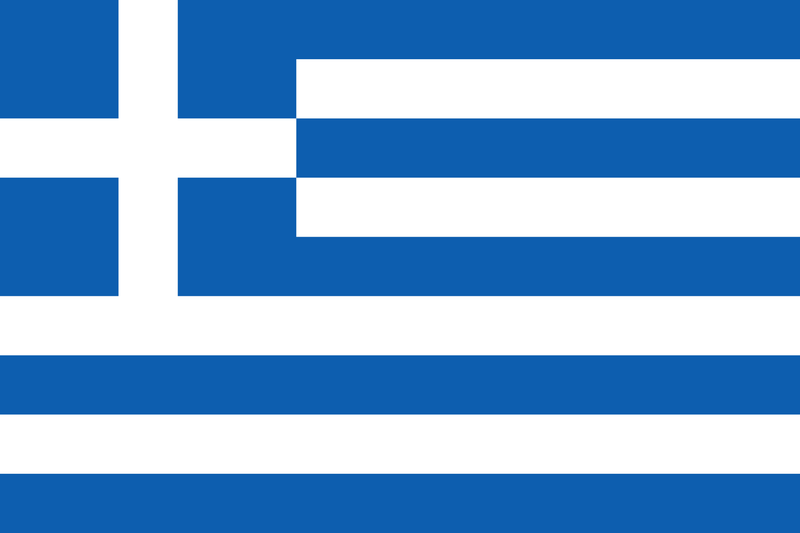 It was first created on September 18, 1996. Copyright © 1996-2019 by the Aware Parenting Institute. All rights reserved. No part of this web site may be reproduced or transmitted in any form or by any means, electronic or mechanical (including copying to other web sites, and including translations), without written permission from the Aware Parenting Institute, with the exception of printing pages for personal use. This copyright applies to all the pages and articles from the Aware Parenting Institute web site. Warning/Disclaimer: The information on this website (including all the web pages owned by the Aware Parenting Institute) is not intended to be used as a substitute for medical information, advice, or treatment. When children display emotional, behavioral, or medical problems of any kind, parents are strongly advised to seek competent medical advice and treatment. Some of the suggestions on these web pages may be inappropriate for children suffering from certain emotional, behavioral, or physical problems. Aletha Solter, The Aware Parenting Institute, and Shining Star Press shall have neither liability nor responsibility to any person or entity with respect to any damage caused, or alleged to be caused, directly or indirectly by the information contained on this website or provided by the Aware Parenting instructors. The links to other websites are for informational purposes only, and do not entail endorsement by Aletha Solter or the Aware Parenting Institute.